So is the Necronomicon real? The answer may be another question entirely: real in what sense? The normative, majority opinion is that the book is entirely fictional and that any other position is either self-delusion or prevarication. And why should we even care? It is because of the light that this issue can shed on the question of how the provenance of an authentic text is determined. 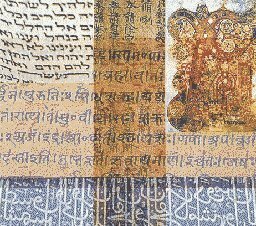 The provenance of a text is a set of criteria which scholars use to evaluate its authenticity. First of all, a text is usually referenced in other historic texts. For instance, the Book (possibly Books) of Enoch were mentioned in the Bible. The Gospel of Judas is mentioned in the writings of the Early Church Fathers as a heretical text. Manuscripts of the Book of Enoch were found in Ethiopia in the 17th century, and a papyrus of the Gospel of Judas finally turned up in the 21st century. However, there is no mention of a work called the Necronomicon until the 20th century. Secondly, there must be a manuscript that scholars can examine openly and subject to tests such as carbon dating and pollen analysis. No such manuscript of the Necronomicon has turned up, and until one does, it must be considered fictional. Other characteristics of an authentic text, which the Necronomicon fails to demonstrate, include a chain of ownership, multiple manuscripts with small variations, as well as linguistic and other internal evidence which places its composition in a specific time and place. Some claim that a book that people want to read will appear spontaneously. It is hard to argue with circular logic of this sort. However, perhaps this 'self-actualizing text' argument is true in one sense. Librarians have been known to insert spurious catalog entries for the Necronomicon, just for fun. And market demand has definitely produced several Necronomicons to sate peoples' curiosity. Caveat Emptor. As the obsession with the Necronomicon grew over the years, a number of books emerged to fill the demand, most notably the Simon Necronomicon . This purports to be a Sumerian grimoire, translated from a Greek manuscript of shady provenance. Simon has recently published a fascinating account of the publication of his Necronomicon, Dead Names . 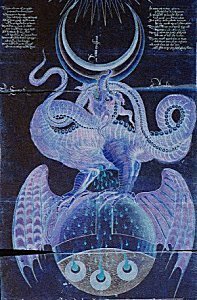 The Chaosium Necronomicon is an anthology of fiction about the Necronomicon and several fictional Necronomicons, including a lovingly crafted pastiche by the late science fiction writer Lin Carter. A recent entry is Donald Tyson's Necronomicon , which is firmly rooted in Lovecraft's universe. Less satisfying is Al Azif , which is simply a couple of hundred pages of illegible script in an unknown language.